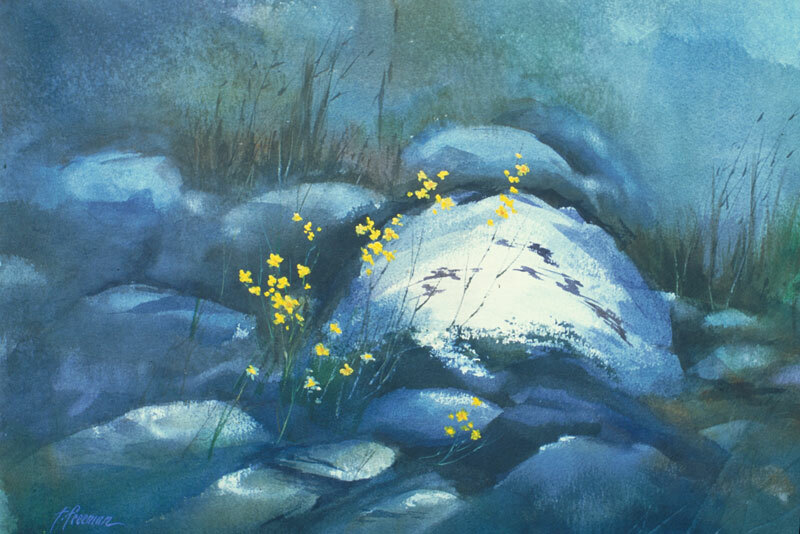 Thomas Freeman Original Watercolor Painting: "Little Bit of Sunshine"
For a wet, misty day atmosphere I started by brushing on lots of blues and greens for the background and then spraying it with water until shapes started to develop. Then I used cloths to lift paint and create the background rocks. I chose to do the flowers in acrylic to keep them soft, avoiding masking's hard edges. Selected for the Society of Western Artists ' 2003 Annual Show.